Imagine the United States suspending Independence Day ceremonies for 36 years, or the French doing likewise with Bastille Day ceremonies. Imagine if the British government announced that, even for one year, there would be no Remembrance Day ceremony at the Cenotaph on November 11th. There would be national uproar in any of these countries. Yet, here in Ireland, just such a suspension occurred. There was no state ceremony to mark the 1916 Rising on what was then seen as the National Day of Commemoration, at the GPO on Easter Sunday, between 1971 and 2006 when it was reinstated. By that time the idea of national commemoration had had its emphasis shifted away from remembering and commemorating the issuing of the Proclamation of the Irish Republic on April 24th 1916 and the week-long revolution that followed which fueled a partially successful War of Independence. In 1986 a new National Day of Commemoration was inaugurated, but this time it would mark all those Irish who gave their lives in war. But the questions of ‘what war?’, and ‘in the service of what interests?’, and ‘at what cost to others, including civilians?’ do not, it seems, arise. Should we simultaneously and equally commemorate the 86 members of the Irish Defence Forces who died on peace-keeping missions along with Irish men who signed up to Uncle Sam and went to visit horrible war on the people of Vietnam, Laos and Cambodia, with whom we Irish have no argument and no basis for conflict? Should the Irish state put the deceased Irish peace-keepers on a par with Irish men who were part of the British military machine as it exterminated those people that it could not subdue in Africa, in the Middle East, in Asia? No doubt many Irish men have served honourably in wars that were themselves dishonourable. Of the two World Wars of the 20th century the first falls into that category – a war that was about national-imperialist supremacy and resources including colonies. Lured by the ‘Defence of Small Nations’ propaganda many Irish men signed up to do just that. Many others were compelled to sign up for economic reasons in the aftermath of the 1913 Lockout. Were the first group more honourable than the second group? While the second of those World Wars was, on the face of it, a war to end German fascism – an honourable reason to fight, it was also about national-imperialist supremacy and resources including colonies. It was also about establishing supremacy in the ideological arena between capitalism and socialism, particularly the Soviet brand. Men who had fought, honourably, on the socialist side against fascism in Spain, and who were vilified for that, went on to fight German and Italian fascism, and were praised for that. But not praised at home. And fascism, despite their courage and sacrifice, is alive and well and thriving today in Europe, and lauded by the US and EU when it is employed in the Ukraine to destablise Russia, and it seems that we are willing partners in that, even if we, the people, weren’t asked if that suited us. Neither were we asked if it was OK to send members of the Irish Defence Forces to Afghanistan as part of the ‘Coalition of the Willing’ in the war on the Afghani people, with whom we Irish have no argument or cause for conflict. If a member of that Irish contingent was killed in Afghanistan, would it be right to commemorate that person – part of a war on another people – on a par with any of the 86 deceased members of the Irish peace-keeping forces? Article 29 of the Constitution, flawed though it is, places us in the role of peace-keeper, not belligerent. Commemorating all the Irish who fell in war, even particularly atrocious war, is a ridiculous concept. It is a fudge designed to get us out of the corner of remembering those who fought willingly or through coersion in the first and second of those two World Wars, and of remembering those who fought on either side in the Civil War, which we don’t want to talk about in any event. Those within the state apparatus who came up with that bright idea have no problem coalescing with the British establishment, a prime architect of global imperialist slaughter over the past two centuries, to run what purports to be our National Commemoration. But they do have a serious problem with commemorating 1916 and the foundational narrative of independent Ireland. The pomp and ceremony for the Irish who fell in (any) war far exceeds the show put on for members of the political class at the GPO on Easter Sunday from which the public are excluded, barricaded and black-screened away lest they disturb their ‘betters’. One of the state institutions, RTÉ, plays its part in the elevation of the National Day of Commemoration over the insipid and essentially private 1916 Commemoration at the GPO. Coverage of the 1916 ceremony is usually relegated to the bottom of the schedule on the RTÉ news programmes on the day, whereas RTÉ provides a stand-alone programme of in excess of one hour covering the commemoration of any Irish man who fell in any war. RTÉ is at its core, demonstrably, a relentless propaganda tool for the Irish political class. Tight control of meaning and of collective memory is hardly surprising in a state that not only fails to defend the integrity of one of the last physical remnants of the 1916 revolution – the GPO Battlefield Site including the National Monument in Moore Street – but seems intent on its virtual destruction to facilitate a bankrupt ‘developer’. Preserve the Royal Hospital Kilmainham, put it centre stage in National Commemoration while destroying the fabric, the memory, and therefore the meaning of 1916. Both historic buildings and sites should be treasured, each with their own story. Commemoration is always political. The absence of a state commemoration of 1916 at the GPO between 1971 and 2006 was political. The introduction in 1986 of a new and very differently focussed National Day of Commemoration was political. The decision to reintroduce the GPO ceremonies in 2006 was political, as was the later decision to turn it into an event from which the public were excluded. The wheeze that is the Decade of Commemoration, initiated in 2012, fits perfectly into the same mould. Determined to undermine the power of our story of revolution and liberation struggle – and particularly of the Proclamation and its true meaning, the political class was handed a device designed to submerge the centenary of the 1916 Revolution under a sea of centenaries of secondary importance. But the wheeze need not work. Commemoration does not fall solely within the remit of the state. There is the not insignificant body known as the nation – the people. Commemorating 1916 – the Proclamation, the revolution and the revolutionaries – on its centenary, is safer in the hands of the people. It is a political act, best kept out of the hands of the political class. As for commemorating any Irish man who fell in any war, best go back to the drawing board. There is an ethical question that looms large there. It is one that should define us. War-makers, or Peace-Keepers? 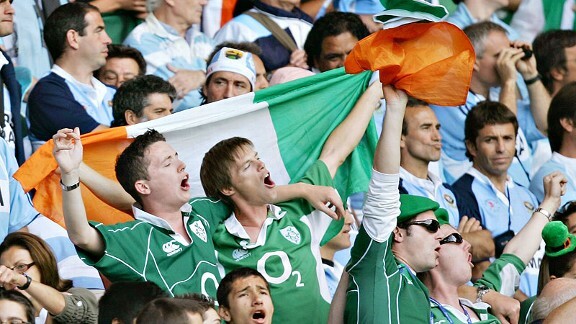 Tens of thousands of Irish citizens regularly sing the Irish national anthem in sports stadia both home and abroad or at other cultural events or meetings, but it is likely that few know the origins of ‘The Soldier’s Song’, or to give it its Irish language title ‘Amhrán na bhFiann’, and probably fewer still understand how or why it became the choice as the national anthem after partial ‘independence’ in 1922. Many people appear to labour under the misapprehension that it was foisted on the nation by the Fianna Fáil party after that party’s establishment in 1926, and some probably have misgivings because of that canard. 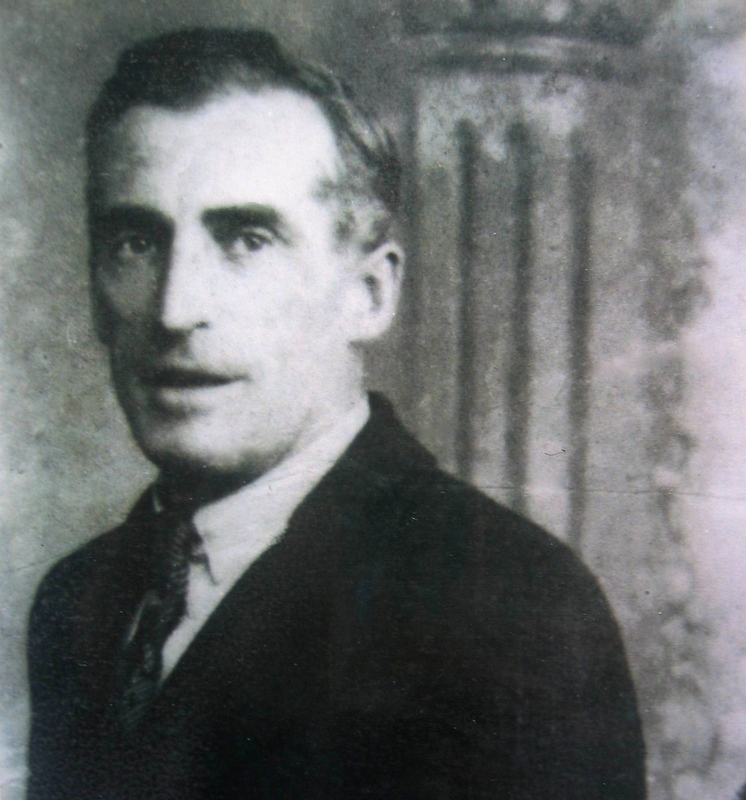 ‘The Soldier’s Song’ was composed by Peadar Kearney in 1907, with the air by Kearney and Patrick Heaney. Its Irish language translation by Liam O’Rinn was first published in 1923. ‘The Soldier’s Song’ was used as one of many marching songs by the Irish Volunteers, founded in 1913, when on manoeuvres, and while popular for that purpose had no greater significance than some of the more established airs. The clue to what made it stand out, and led to it becoming the national anthem, is provided in Thomas M. Coffey’s great account of the 1916 revolution, centred mainly in and around the GPO during that momentous week, from Monday April 24th to Sunday April 30th. ‘There was a restless stirring, and even in the dim light the haggard, worried expressions showed on the tired faces. Connolly got up from his cot and made the rounds, comforting, exhorting, sometimes scolding, but even by moving among the men at this hour he showed his own concern about their dwindling spirits. Everyone had abandoned by this time the myth of possible victory. There was nothing left for these exhausted and frightened men to think about but the imminent assault against them and, for the survivors of the battle, the dire consequences of defeat. Connolly looked into their faces, one after another. Then suddenly, without warning, he broke into a bellowing chorus of one of their favorite marching songs, a song that would one day become the Irish national anthem – “The Soldiers Song”. The starry heavens o’er us. So there it is – a national anthem forged in the white heat of revolution, used by Connolly to rouse the troops under his command, and never forgotten by them because of that. Its popularity grew after the revolution had been put down, at least the first phase of it, first in the ‘University of Revolution’ as Frongoch prison camp in Wales became known, having housed prisoners taken by the British after the surrender, and growing again in popularity during the War of Independence. 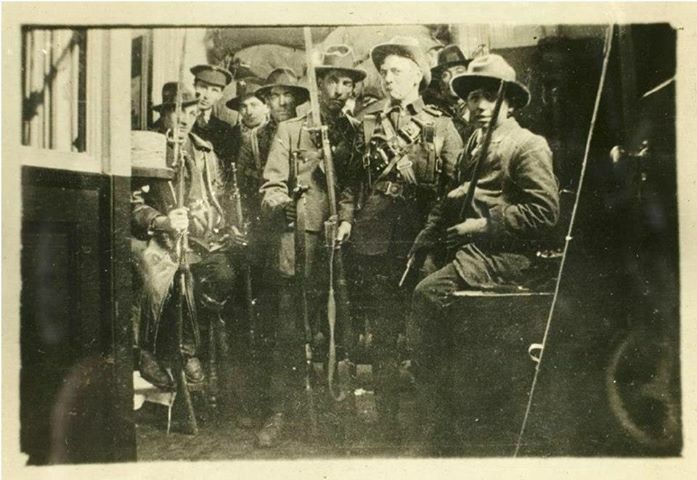 Unlike most other national anthems which are composed after the fact, ‘The Soldier’s Song’/’Amhrán na bhFiann’ achieved its status and significance because of the symbolic part the song played for the revolutionaries inside the GPO at their moment of need, spurring them on in the struggle and enabling them to achieve an important objective in a task made hopeless in its greater ambition by the treacherous countermanding order of Eoin MacNeill. That lesser objective was to hold out for a week so as to establish the basis that the leaders believed would give them negotiating rights. There is only one explanation that can readily explain the obscuring of the revolutionary significance of our national anthem from the people ever since it had grudgingly become the de facto anthem in 1926 and that is the desire of the counter-revolutionaries who have ruled Ireland since partial ‘independence’ to distance themselves and the people from the true nature of both the revolution and the Irish Republic that it was intended to create. Why else blank out a compelling story and through that turning our national anthem into being relatively meaningless and disconnected from its source in the modern Ireland that they have created through distorting and manipulating and censoring the foundational narrative of 1916? So, spread the story to the citizens, allow ‘The Soldier’s Song’-‘Amhrán na bhFiann’ to evoke the image of men and women in a GPO under fire determined to create a revolution. Our national anthem is not a Free State song – it is the song of the Irish Republic. Sing it with pride. Side with the revolutionaries.